Zimbabwe has been in turmoil these past few weeks and before that for decades. Mugabe left the country in ruins and now the current president has allowed bloodshed and would like to further his own means by enlisting Russia to fight a war in this country. While the people die by being murdered or starve to death from inhumane living conditions, the authorities have further disabled the people by switching off all Internet and outside communication. We are out of toucharacter with loved ones - friends and family alike. We have no idea what atrocities are going on in this place that, quite literally has no more to give. Everything has been stolen or broken or murdered through greed and an interest only in enriching themselves. We need to be heard. We need to give a voice where there is none and we need these people to know we stand with our people and we want humanity, dignity and peace restored. These murderers and thieves should not be allowed to hide and get away with this. We need and China Russia to know NOT to stand by this man and if they are going to fight, to fight for justice. For the true cause of restoring Zimbabwe. Do not let evil rule. 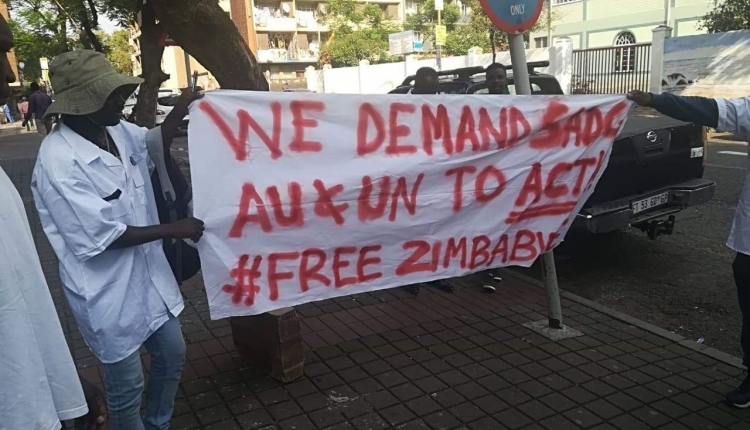 We, the undersigned call on the UN, neighboring African countries and the world at large to see the plight of the Zimbabwean people and to petition against this total disregard for human rights by ending fighting and rallying of wars. We demand the natural resources of Zimbabwe not be plundered by those in power. We demand, most importantly and most urgently, communications be restored and peace be restored to the people of Zimbabwe. The Rita Worlandes petition to Zimbabwe was written by Bina Bhaga and is in the category Human Rights at GoPetition.